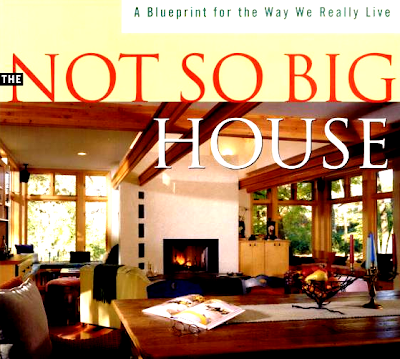 1 Response to "THE NOT SO BIG HOUSE"
I completely agree. I've always thought that I'm not a "big house" person. I actually prefer small spaces that provide design challenges so I can make it my own. If I wanted a big house, I'd have to move to the suburbs and buy a cookie cutter house. No thanks! I'll stick with my 550 sq ft condo in the city.